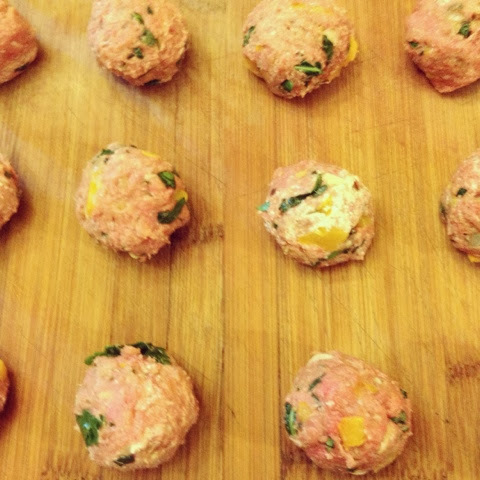 We start our meatballs by sautéing up a combination of onions, garlic, yellow pepper and baby kale. 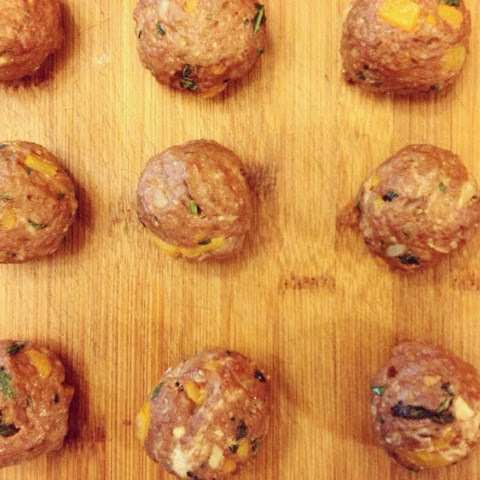 This veggie combination will pack in the flavor and nutrients, all while keeping your meatballs nice and juicy! We then add in ricotta cheese, fresh parsley, whole wheat panko and one organic egg! 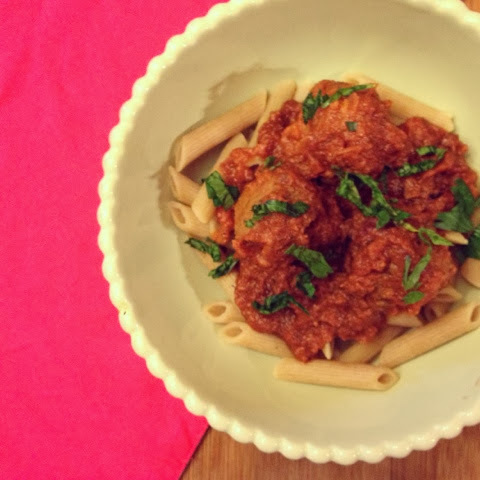 We bake these in the oven and them let them continue cooking in our delicious tomato sauce. If you like these be sure to check out our Turkey Spinach Meatballs, Roasted Red Pepper & Caramelized Onion Turkey Meatballs and Buffalo Turkey Meatballs too! 2. Add one tbsp. olive oil to sauté pan. Add pepper, onion, and garlic and sauté for 3-5 minutes. Add kale and sauté until wilted. Set aside. 3. In mixing bowl add ground beef, beated egg, ricotta cheese and veggie mixture. 4. Add in fresh parsley. 5. Form into small balls. We made 18 meatballs per one pound ground beef. 6. Spray baking sheet with non-stick spray. Place formed meatballs onto sheet. 7. Cook for 18 minutes, flipping halfway through.